What the synopsis says … “Country singing starKayleigh Towne’s career is reaching new heights with her huge hit single “Your Shadow” but the increased fame is also bringing unwanted attention. An innocent exchange with one of her fans, signed with an “XO,” leads Kayleigh into the dangerous and terrifying realm of obsession. Edwin Sharp thinks Kayleigh’s songs contain messages that speak directly to him. Despite her clear rejection and threats from lawyers and law enforcers, he remains convinced that “Your Shadow” was written just for him, and he announces he’s coming for Kayleigh. Then a potentially fatal accident occurs at the concert hall where Kayleigh is rehearsing for a triumphant hometown performance, and she is convinced that someone – maybe Edwin – was there watching her from the darkness. It’s a clever story, one that has you thinking on more than one occasion that you definitely know who the killer is, only to discover a few pages on that there’s another piece of evidence that points away from that person and onto another. Throughout the book, the lyrics of Kayleigh Towne play a large part in the action – being used as a killers calling card, the police trying to interpret them to locate a murder scene, the comfort the writer brought from them during personal hardship or, occasionally, as simply a tuneful accompaniment to a beer. This is the first Kathryn Dance novel I’ve read. As you’d expect from Deaver, she’s a well drawn, engaging character: clever, witty and not afraid of throwing herself into the action, she’s made all the more real for the insecurities and family worries she grapples with in her personal life. And, as a bonus, there’s even a guest appearance by another of Deaver’s well known continuing characters. 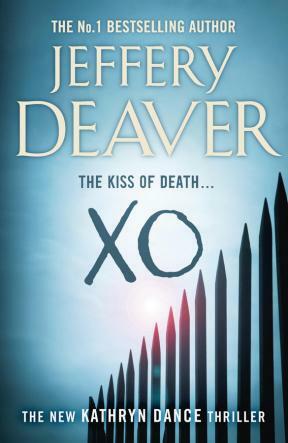 Great review – I’ve never tried Deaver, mainly because of a stupid prejudice against wildly popular offerings. But you’ve convinced me, and I now have a whole new writer (with a lovely big backlist) to explore. Thanks! I’d better… or there’ll be murder.